AMERICAN DIALOGUE: The Founders and Us. By Joseph J. Ellis. Random House Audio. Read by Arthur Morey. 8 ½ hours; 7 CDs. $40. Also available in print from Knopf. 283 pages. $27.95. I started listening to this book before the recent mid-term election, hoping for some antidote to my growing pessimism amid the negative ads, outrageous tweets and depressing news. Sometimes, reading American history is comforting, in that it reminds me that our country has survived dark times and fallen short of our ideals in the past. To that end, this new book from the noted historian Joseph Ellis did provide some comfort and hope that this great experiment we call the United States will manage to survive the present dark times with its best ideals intact. But Ellis does not sugarcoat reality, and it’s also clear that at this moment, rational dialogue like that among the Founding Fathers is sorely lacking. 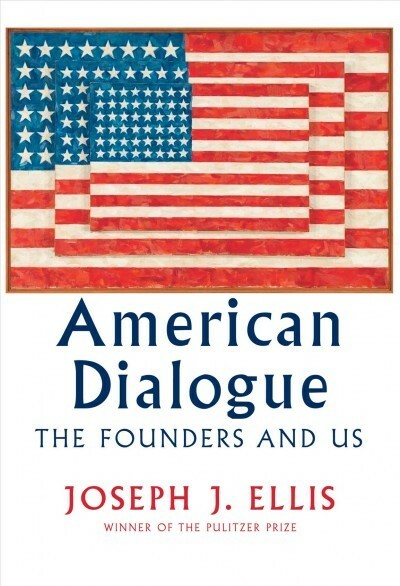 What Ellis is doing in this book, in a way, is to encourage 21stcentury Americans to have a thoughtful dialogue with our past – on “ongoing conversation between past and present” in which we consider what the debates and decisions of the founding era mean for our time. He looks at how four key founders dealt with key issues: Washington and foreign policy, Jefferson and racism, Madison and constitutional law, and John Adams and economic inequality. Then he considers how these issues inform our problems and politics today, as we struggle to fulfill our role as a superpower, deal with an increasingly diverse but still racist society, argue over “originalism” and live in what he calls a new Gilded Age with extreme economic inequality. As he has in earlier books, Ellis makes clear the shortcomings of the founders as well as their astonishingly great achievements. He recognizes the remarkable, trailblazing accomplishments such as the separation of church and state and the Constitution’s checks and balances that avoided too much centralization of power. But he also analyzes the great failures – the treatment of the Native Americans and the inability or unwillingness to deal with the institution of slavery. One of Ellis’ themes is that the Founders were not some sort of gods or infallible wise men. They were humans, with human flaws and shortcomings, and they were also a mix of idealism and pragmatism as they dealt with lofty values and contemporary realities. 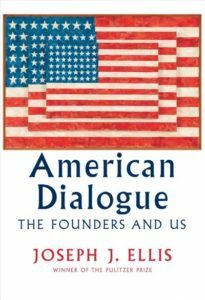 Perhaps the greatest – and most dangerous – difference Ellis sees between the age of the founders and the current climate is today’s apparent inability to have reasoned dialogue. Instead, we have polarization, extremes, exaggerations and lies, refusals to listen to the other side, tweets and “arguments” that go nowhere and change no minds or hearts. Most of the book is about the “then,” but Ellis also deals with the now. He minces no words as he talks about the Koch brothers, Robert Bork and Justice Antonin Scalia, the National Rifle Association and the distortions in the New Right’s arguments about such issues as the Second Amendment and the proper role of the federal government. Donald Trump, he writes, represents the danger that always lurks in “political frameworks based on popular opinion” – they are vulnerable to “charismatic charlatans with a knack for exploiting popular fears.” The “controversial” Trump presidency represents “the demagogic downside of democracy,” he writes. I listened to the audio version of Ellis’ book, ably read by Arthur Morey, because I feared I would not take the time to sit down and read the book myself. For a book with so much history, insight and thought-provoking analysis, it was remarkably easy to follow. I am able to offer direct quotations because I was also fortunate enough to have a print version, and that includes a valuable index and Notes section. This entry was posted in American History, Audio Books, History and tagged American History, Joseph J. Ellis, politics. Bookmark the permalink.